By combining the techniques of textual criticism and the insights of close reading, Generous Mistakes offers new perspectives not only on two of Henry James's major novels (The Portrait of a Lady and The Ambassadors) but also on the process by which they became the books we know-or think we know. Through a better understanding of the conditions of production that affected James's author function, we achieve a deeper appreciation of the historical contingencies of his artistry. Closely examining new forms of evidence (even fingerprints), Generous Mistakes contends that authorship is a hybrid construction, a sometimes unpredictable sequence of different forms of practice, each of which contributes meaningfully to the texts we read and analyze. Offering a sustained examination of the 'textual condition' of James's work-going beyond the relatively familiar ground of authorial revision-this study brings into sharper focus the complex and sometimes arbitrary factors that contributed to the making of two masterpieces of modern fiction and to the legend of the master who wrote them. VI: My Fair Henry ?! 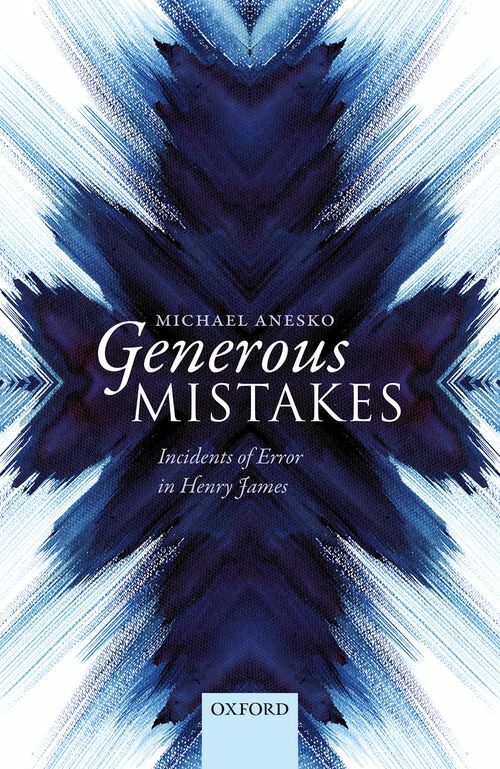 Michael Anesko is Professor of English and American Studies at the Pennsylvania State University, where he has taught since 1993. Before that he served as Assistant (and, then, Associate) Professor of History and Literature and of English and American Literature and Language at Harvard. He is the author of four books, the most recent of which, Monopolizing the Master: Henry James and the Politics of Modern Literary Scholarship, was published by Stanford University Press in 2012. He is also a General Editor of the Cambridge Edition of the Complete Fiction of Henry James and The Complete Letters of Henry James (University of Nebraska Press).